 We look forward to hearing from you and welcoming you in person to the 54 on Bath hotel in Rosebank, Johannesburg. Take the Glenhove turnoff on your left and proceed into this road. Turn right into Sturdee Avenue and then right into Tyrwhitt Avenue. Turn right into Bath Avenue. Follow the N1 towards Johannesburg. Proceed into the M1 South. Take the Glenhove turnoff on your right and proceed into this road. Proceed into Bolton Road. Turn right into Sturdee Avenue and then right into Tyrwhitt Avenue. Turn right into Bath Avenue. Follow the N1 North towards Bryanston. Take the William Nicol turnoff and follow this road towards Johannesburg. Proceed into Jan Smuts Avenue. Turn into Jellicoe Road from Jan Smuts Avenue.